I realized this weekend that there is not a day of the week when I do not have a thread snip or bit on my clothing, in my hair or at the very least stuck to my socks! 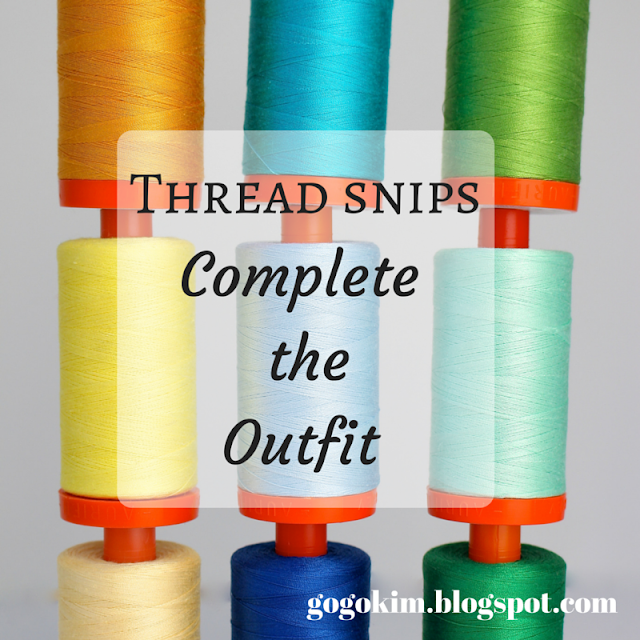 My kids have ( finally) given up pointing out the colorful pieces of short or long glistening beauties to me for removal since they are very aware that I consider thread on my clothing as an accessory :o) For all of my fashion forward sewing friends... we can wear them with PRIDE! Such a relief, cuz I am the same. Every single day!